It’s already only the third week of the new term back in an extremely snowy Moscow and yet I have rehearsed my variations for Tanzolymp 2015 nearly every day with my teacher, Revich, so that I was quickly into shape and motivated for the competition which takes place in Berlin in February. In addition to performing, the competition also offers a series of masterclasses. This is a great opportunity to learn from and be inspired by different teachers which this year includes Polina Semionova of American Ballet Theatre alongside teachers from English National Ballet, Paris Opera Ballet, Stuttgart Ballet and New York City Ballet. I’m really enjoying the preparation process for the competition; something I’ve never done before and which I feel is going to be a very worthwhile and exciting experience. This even extends to having two brand new tutus made especially for both my variations and beautiful new tiaras! The only downside is that I picked up an ankle injury last semester that is proving to be a bit persistent; but I’m working through it and hoping lots of care will sort it. I have my flight all sorted as its only three weeks away; I’m excited at the prospect of a new cultural experience especially as I travelled to Berlin when I was younger and I’m really interested in how it will have changed since I last saw it. Another exciting aspect is the fact that my friend Michelle, who also studies here at the Bolshoi Ballet Academy is taking part aswell, so we will be able to support each other and explore the city together. We also have tickets to see Bayerisches Staatsballett’s production of Sleeping Beauty. I’ve always wanted to see them but due to my only ever previously visiting Berlin in the summer, when the theatre was closed, I have never managed to see them perform before – so that’s another event to look forwards to while I’m there. Indeed it appears that competition season is upon us as one of my classmates, Nastia, has just returned from Youth America Grand Prix after gaining in a place in the final, while another of my classmates, Nere, left for the Prix de Lausanne this week. They’ve done extremely well and it’s very exciting to have such talented dancers in my class! Other differences to the timetable for this half of the year include the addition of historical dance which fills the gap left by modern class. We also have a slightly different spread of academic classes. Outside of formal classes, we’ve also started rehearsing a piece from Le Corsaire which will feature in this year’s graduation performance in May. We actually rehearsed with the repetiteur from the Bolshoi Theatre at one point! Upon returning, my duet teacher, Gusev, complemented me on my improved flexibility that I’d been working on over the holidays and recommended I continue to work on it by visiting a local specialist who would be able to help in the loosening of my joints and such. Consequently, I booked an appointment to visit her last Friday and am planning to go every week. I’m very lucky to have a fantastic massage therapist that I visit regularly at home who understands the amount of work that needs doing on dancers’ muscles, however, the therapist I visited here in Moscow takes it to a whole new level of intensity! Her name is Tatiana and she works only a short walk from the Academy; she has a room full of equipment and products and gives extremely effective treatment. She is quite a large lady and so can apply a great deal of force into her massages and manipulation of joints so I feel very confident that she’ll mould me into shape by my graduating year, even if I am slightly terrified of how she’ll do it! After this first session I already felt like she’d pummelled and stretched me out like spaghetti! But I’m very encouraged by her plans that she talked about for the rest of my treatment with her. She uses a very Russian method in which she aims to increase the amount of movement in my hips and squish my ribs into place! I’ll have lots to tell you next month when I’ve competed in Tanzolymp and by then most of winter will be done! Of course, I’ve already managed to visit one of my favourite restaurants already – Fresh vegetarian restaurant – I wasn’t going to let the snow stop me. The Christmas and New Year decorations have finally come down here in Moscow and so I truly feel like the new year has begun in earnest. To see how I got on at Tanzolymp, click here. Click here and here to see the professional photos for my performances. 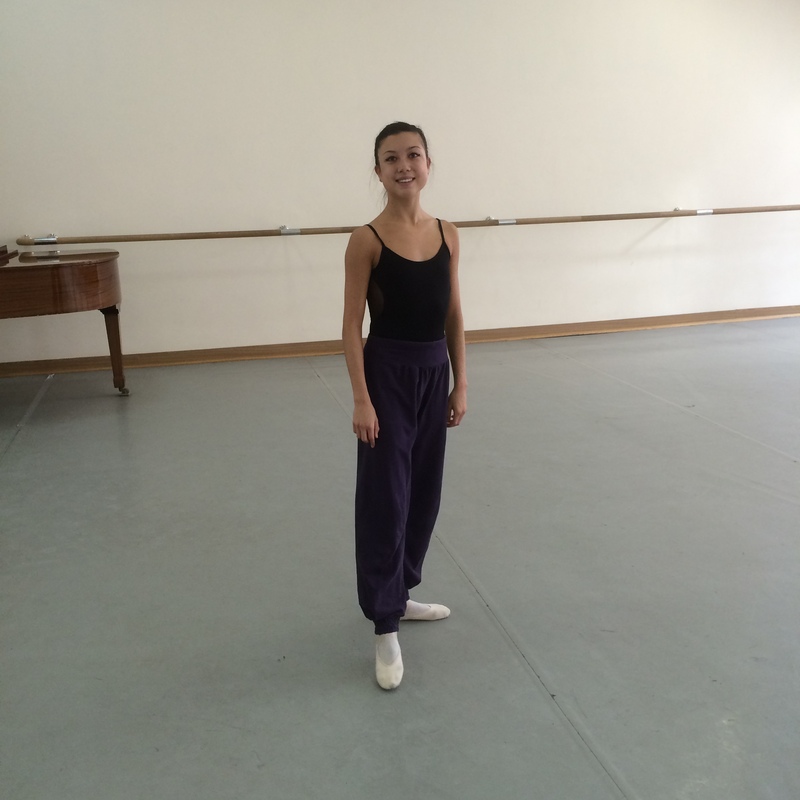 I wrote an article on my top tips for preparing for international ballet competitions here. Lovely write-up, Tala. Missing you already! Best of luck at the competition – such an informative blog – so helpful for future students – what a generous attitude you have – you deserve to do well. Thank you, Monica – glad you enjoy my posts! The positive feedback is encouraging! Hi Linda – thank you very much, I’m very excited for the competition! Hope you are well too! Thank you, Mike! I so appreciate your support!